The First World War was a war of innovation. Advances in weaponry and military technology provoked tactical changes as each side tried to gain an advantage over the other. 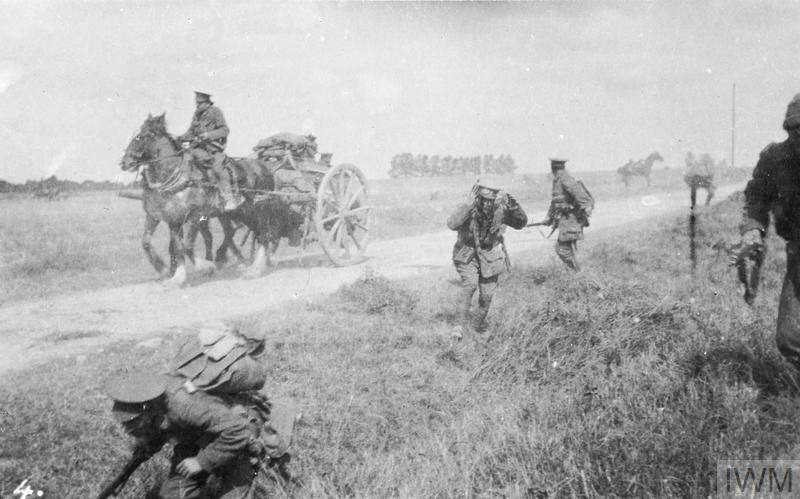 Major innovations were made in manufacturing, chemistry and communications, while medical advances led to the improved treatment and evacuation of battlefield casualties. Here are 10 important 'firsts' that happened during the First World War, the effects of which can still be felt today. The First World War was unprecedented in scale. It was the first war to be fought in three dimensions: on land, at sea and in the air. 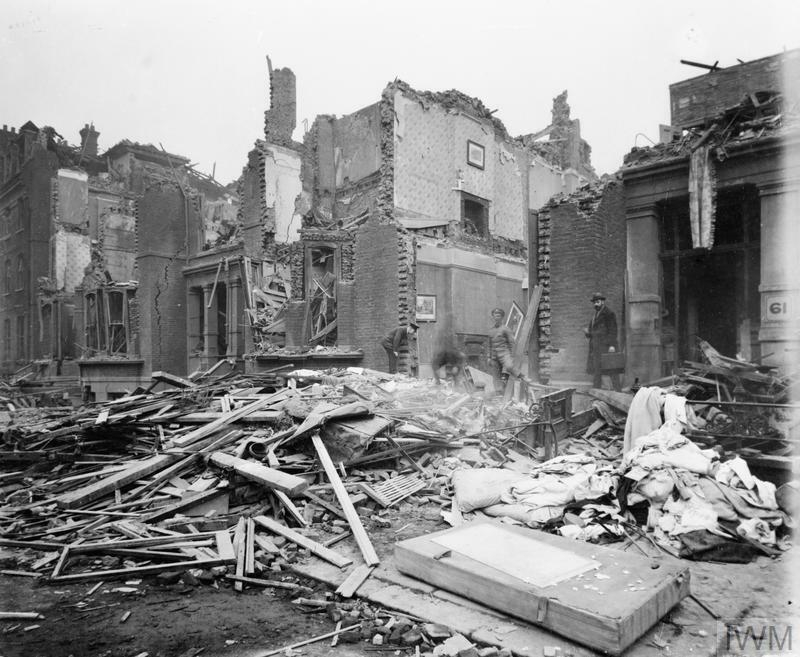 Approximately 4,800 British civilians were killed or wounded as a result of German air raids during the First World War. The introduction of aircraft into combat left soldiers and civilians vulnerable to air attacks for the first time. The first of these raids on British civilians occurred on 19 January 1915, when giant airships called Zeppelins dropped bombs on Great Yarmouth and Kings Lynn in Norfolk. Raids on London followed throughout 1915. These attacks caused panic and public outcry and led to a government-imposed black-out. In spring 1917, the Germans carried out their first large-scale daylight raids involving Gotha bombers. The most destructive of the Gotha raids took place on 13 June, when 162 people were killed in London. 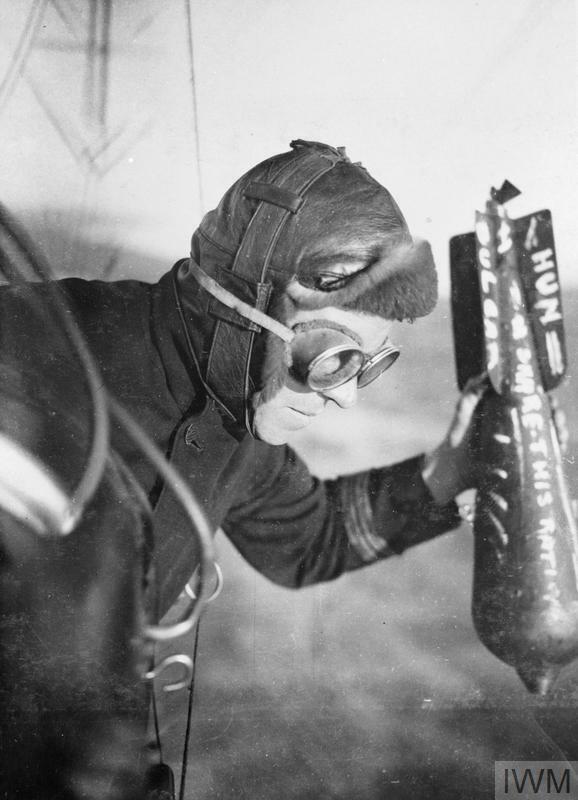 Britain developed new air and civil defence measures to meet the threat of German bombers, many of which would be adapted as air attacks on civilians became a more common part of modern warfare. ‘Shell shock’ was the term used to describe the psychological trauma suffered by servicemen during the First World War. 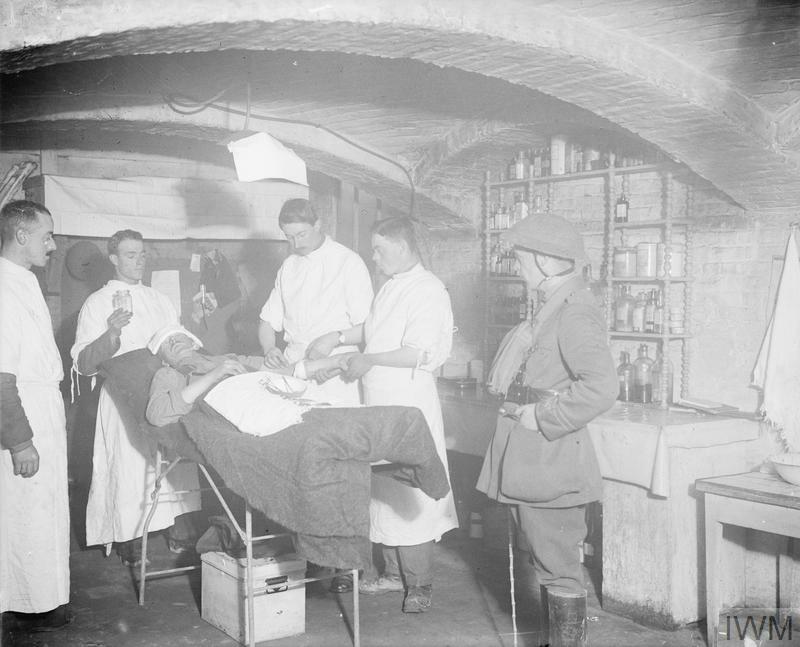 This trauma is not unique to the First World War, but it was during this conflict that it first came to be recognised by medical professionals and the public. This footage, taken from 1916’s Battle of the Somme, shows a wounded and dazed soldier being led to the advanced dressing station. It was difficult to understand what caused shell shock. Some believed it was caused by physical damage resulting from shell explosions, but others recognised the role of a whole range of complex psychological factors and experiences. For some psychological casualties, one traumatic experience could trigger their symptoms. For others, it might be the cumulative effects of sustained battlefield service. Symptoms varied in type and severity, and treatments developed slowly. Shell shock has become an enduring symbol of the human cost of the First World War. Over the last century there has been a growing awareness of the psychological effects of combat. Today, mental health professionals form a specialised part of the armed forces’ medical services. Triage is the system of categorising casualties and prioritising their treatment. It was developed during the Napoleonic Wars and first applied systematically during the American Civil War, but it was not until the First World War that the British adopted it on a widespread basis. A wounded soldier would be taken through a series of aid posts, dressing stations and hospitals where he received different levels of medical care. From the first aid posts onwards, casualties were assessed and decisions on treatment made based on the extent of their injuries and their likelihood of survival. Those casualties with injuries thought to be survivable, but requiring rapid emergency treatment, were given the highest priority. Others with more minor injuries were less pressing. Those considered to be unlikely to survive would be made as comfortable as possible but were not prioritised. Medical staff often had to make difficult decisions very quickly, but triage allowed for the continuous movement of casualties away from the battlefield and helped ensure that as many casualties received medical treatment as quickly as possible. It remains a crucial component of front-line medicine. Gas, a type of chemical weapon, was first used on a major scale by the Germans in 1915 during the Second Battle of Ypres. 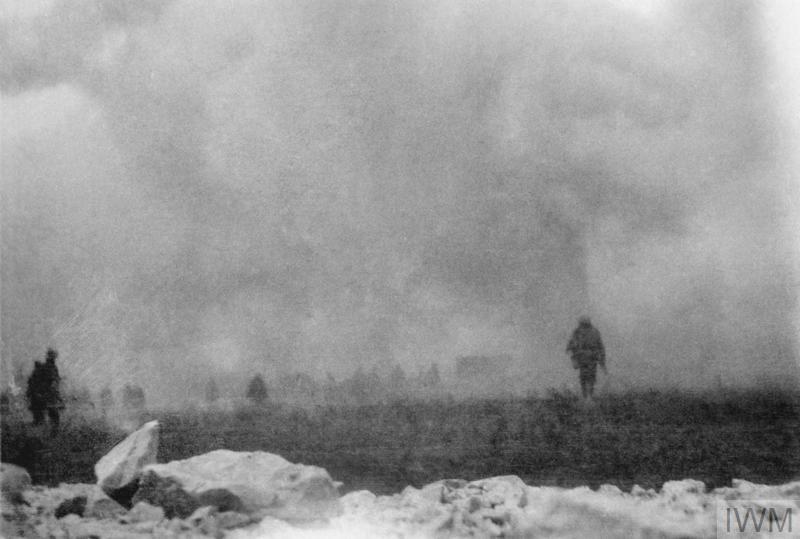 The British first used poison gas during the Battle of Loos (pictured here), but in some sectors the wind blew the cloud back into the British lines. Death rates from gas were relatively low – about 3 per cent on the Western Front – but the physical effects could be excruciating and it remained a pervasive psychological weapon. Since the First World War, there have been many international laws and arms agreements intended to ban the use of chemical weapons, but they remain a controversial part of modern warfare. Before the First World War there had never been compulsory military service in Britain. The first Military Service Bill was passed into law in January 1916 after the number of volunteers for the armed forces had begun to dry up in the second half of 1915. From March 1916, military service was required of all single men in England, Scotland and Wales aged 18 to 41, except those who were in jobs essential to the war effort, the sole support of dependents, medically unfit or those who could show a conscientious objection. Further military service laws expanded to include married men, tightened occupational exemptions and raised the age limit to 50. Tanks were first used on 15 September 1916 during the Battle of Flers-Courcelette, part of the Somme offensive on the Western Front. Early tanks were slow and unreliable, but they were also new and imposing. The tank proved to have a significant psychological effect on opposing infantry. By mid-1918, tanks were a standard element of British warfare. This film clip shows an unarmed Mark IV tank used during training later in the war. British women entered military uniform for the first time during the First World War. Women wanting to assist the war effort began to push for their own uniformed service as early as August 1914. The Women’s Army Auxiliary Corps (WAAC) was established in December 1916, after a War Office investigation showed that many jobs done by soldiers in France could be done by women. In April 1918, the WAAC was renamed Queen Mary’s Army Auxiliary Corps (QMAAC). The Women’s Royal Naval Service (WRNS) was formed in November 1917 and the Women’s Royal Air Force (WRAF) was set up on 1 April 1918. In total, over 100,000 women joined Britain’s armed forces during the war. The First World War saw the first widespread use of both fixed-mount and portable mechanical flamethrowers. Reports first appeared in early 1915 after the Germans deployed the weapon against French forces near Verdun. The British and French began developing their own models, including the Livens Large Gallery Flame Projector. This massive machine measured over 15 metres (50 feet) long and had a range of over 30-40 metres (100-130 feet). 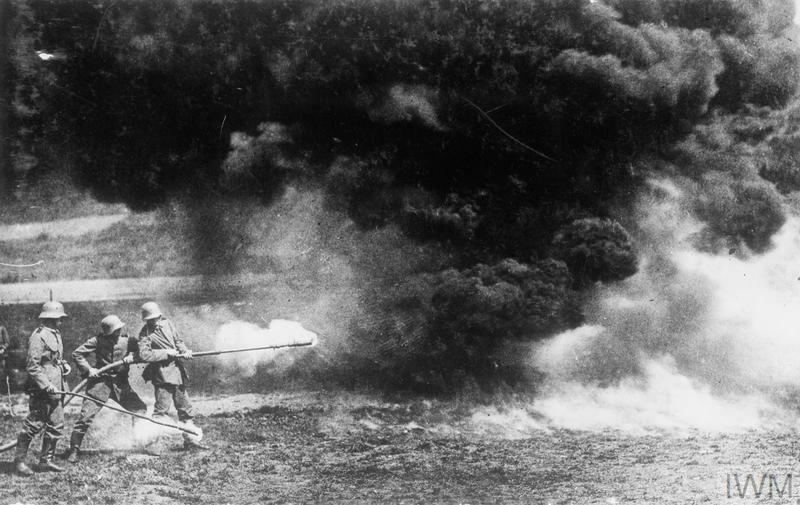 Flamethrowers were particularly effective as a terror weapon and would become a common feature of warfare in the twentieth century. Concealment and deception have always had some part in warfare, but during the First World War the practice became systematic. In 1915, the French Army became the first to create a dedicated camouflage unit. The word ‘camouflage’ came from the French verb meaning ‘to make up for the stage’. Its practitioners, many of whom were artists, were known as camoufleurs. The British Army established its own camouflage section in 1916 under the command of Lieutenant-Colonel Francis Wyatt. It was known as the Special Works Park RE (Royal Engineers). Advances in camouflage continued after the First World War and research to develop patterns to suit specific terrain and counter new surveillance technologies continues to this day. During the First World War, the Allies and the Central Powers employed modern weaponry and firepower on an unprecedented scale. Both sides also developed new protective equipment in response to changes in military tactics and technologies. Trenches provided relative protection against increasingly lethal weaponry. Soldiers dug in to defend themselves against shrapnel and bullets. On the Western Front, trenches began as simple ditches and evolved into complex networks stretching over 250 miles (402 kilometres) through France and Belgium. The opening months of the First World War caused profound shock due to the huge casualties caused by modern weapons. Losses on all fronts for the year 1914 topped five million, with a million men killed.